Whether it's in bulk or individually, digital or plastic, in the USA, Canada, or Europe, we are thankful that organizations across the world use NGC as their trusted partner for their gift card purchasing and fulfillment solutions. Creative ideas and ways you can use gift cards for employee rewards & recognition, mobile eGift card rewards programs, loyalty programs, survey rewards and more. Take your gift card loyalty program paperless and evolve your consumer proposition by offering up real-time rewards to your members. Quantity constraints? None! With our Gift Card API, we make it easy (and fast!) to deliver eGift cards, virtual eGift cards, digital gift cards, and ecodes from a variety of national brands. NGC offers secure gift card sourcing and fulfillment in over 15 countries across North America and Europe. We have the ability to accept payment in USD, CAD, GBP, and EURO. Whether in bulk or individually, physically or digitally, NGC will help you get your open loop reward cards, closed loop gift cards and eGift cards from point A to point B across the world. Need to fulfill gift cards to your end users? Ask us about our global gift card services. NGC offers a wide selection of open loop prepaid card products. Choose from physical prepaid cards or digital Visa and Mastercard Virtual Prepaid Cards. Are you a merchant needing sales or fulfillment help with your gift card program? NGC is here to make the B2B gift card marketplace easy. Whether it’s managing inbound leads, hosting your digital gift card template, or fulfilling your B2B orders, our team of 100+ staff are ready to assist you with your brand’s gift card needs. We’ll even vet each corporate lead to protect you from fraud and damage to you brand. 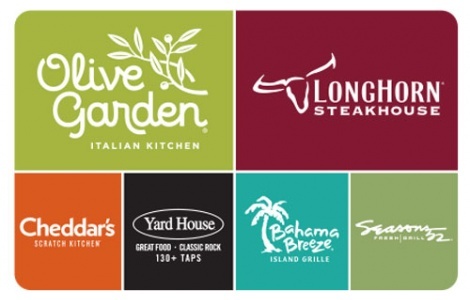 Check out our brand agency services that will help grow and sustain your gift card program. We’re the trusted, one-stop shop for secure B2B gift card purchasing, gift card inventory management, and gift card fulfillment at any scale. National Gift Card has a 92,000 sq. ft. gift card fulfillment facility supporting global gift card programs for organizations of every size—from multinational corporations to small businesses. Need to purchase a bulk order of gift cards? No problem. Need customized gift card fulfillment for your loyalty program? We do that, too. Our custom gift card solutions make plastic or eGift card fulfillment efficient at any budget. Take away the stress of securing gift card inventory at your facility, NGC is here to help reduce your in-house investment. We go beyond gift cards to provide ideas for your rewards and loyalty programs and customer service will support each program like it was our own—your goals are our goals.